The Wyndham Garden Fallsview Hotel, is Niagara’s Newest Hotel and is conveniently located in the Fallsview district of Niagara Falls, Canada. Located on Stanley Ave, the hotel is situated by Niagaras finest restaurants and attractions, and offers easy access to the border and the highway. Room types are available for every interest. Looking to celebrate with that special someone? The Jr. Presidential Whirlpool Suite with Fireplace is for you! The Wyndham Garden Niagara Falls Fallsview also offers great Niagara Falls getaway packages that make planning your vacation a breeze. 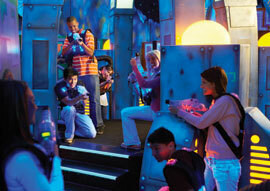 Plan a vacation for the whole family to remember with our Family Fun Package. 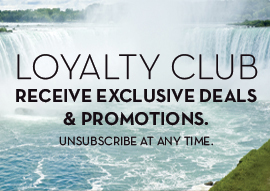 Experience Fallsview Dining with our Fallsview Dining Packages. 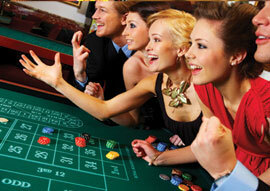 Stay with us while seeing some world class talent and shows at the Fallsview Casino located just two blocks away. 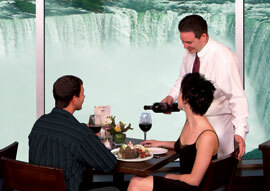 At the Wyndham Garden Niagara Falls Fallsview we have Niagara Falls Packages for all interests. Wyndham Niagara Falls Lounge and Coffee House now open! The Wyndham Garden Niagara Falls Fallsview Hotel is located conveniently near major Niagara Falls attractions including Journey Behind the Falls, Hornblower Niagara Cruises, the Fury, and more. The famous Clifton Hill district is within a short walk from the hotel. The Fallsview Casino Resort is only steps away. Observation towers and other attractions are within sight of the hotel. There are restaurants to suit everyone in Niagara Falls. Located on-site the Wyndham Garden Niagara Falls Fallsview Hotel you will find IHOP, Tempting Aromas and Irresistible flavours, visit our Fallsview Lounge and Coffee House located in the hotel lobby enjoy hot or cold fabulous drinks, or one of our mouth-watering pastries and snacks. In the immediate area of the hotel the choices seem endless...The Outback Steakhouse, The Keg Steakhouse & Bar, East Side Marios, Starbucks, and the list goes on. Looking for atmosphere? The Keg Steakhouse & Bar offers a truly inspiring view of the Falls while enjoying food prepared by world class chefs. 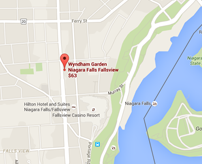 Niagara Falls has so much to offer and the Wyndham Garden Niagara Falls Fallsview Hotel is the perfect choice for enjoying your stay in Niagara Falls.